Nautilus Reels owner Kristen Mustad. Screen shot YouTube. 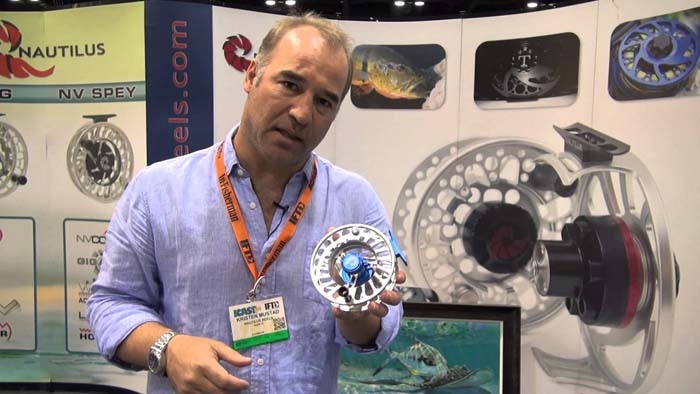 Nautilus Reels produces an award-winning line of reels from its headquarters in Miami, Florida. Nautilus is on the forefront of reel innovation and maintains a tradition of experience and excellence while continuously improving performance. For more information about Nautilus Reels . . .and follow Nautilus on Facebook, Instagram, and Twitter. The Sportsman’s Alliance for Alaska is a project to engage anglers and hunters, groups to which they belong, outdoor brands, and the outdoor media in campaigns to conserve fish and game habitat in The Last Frontier for the benefit and enjoyment of future generations. Take action here . . .
Based in Pittsburgh, PA, the S. Kent Rockwell Foundation is focused on working with partners in order to continue to rehabilitate, preserve, and maintain our world’s most precious natural environments and benefit societal and humanitarian needs. Learn more on their website . . .